We are now @ 16256 N Oracle Rd. Suite 110 . PLEASE call 818-1801 to schedule ALL APPOINTMENTS! Thank you ALL! 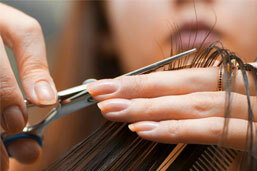 We offer a full range of services that include cuts, color, styling and chemical / texture services. We also offer specialty services such as Pravana smoothing treatment, 4 ever smooth Keratin treatment and Brazillian Blowout. When it comes to skin care, we got you covered. Our full service skin care salon offers microdermabrasion, facials, back cleansing, body salt glows, makeup application and more. 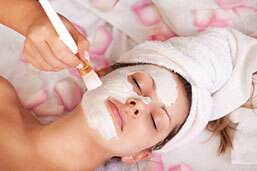 Full service waxing services start at just $12. We do eyebrows, lips, chins, nose cleanups, full face, full leg, half leg, full arm, half arm, underarm, back and bikini lines. We offer the best when it comes to relaxation and massage therapy. We offer custom Swedish massage at 30 min., 60 min. & 90 min. as well as deep tissue, hot stone, aromatherapy & prenatal. Our qualified and professional nail technicians offer services such as manicures & pedicures for both adults and children and also shellac manicures, pedicures and application.